This is a selection of our work. A complete portfolio is available by appointment only. 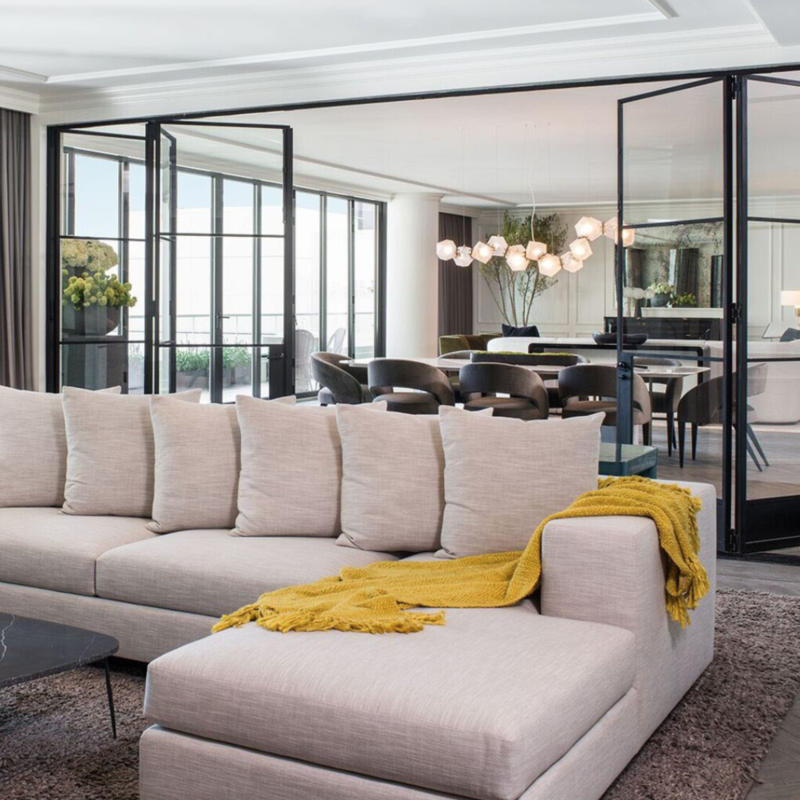 This luxury penthouse has a modern interpretation on era-specific and avant-garde refinement evoking an old-world aesthetic with a modern twist and hint of European flavor. This space was designed for a fashion executive who wanted to create a contemporary refuge in the Jean Nouvel building located in Chelsea, NYC. 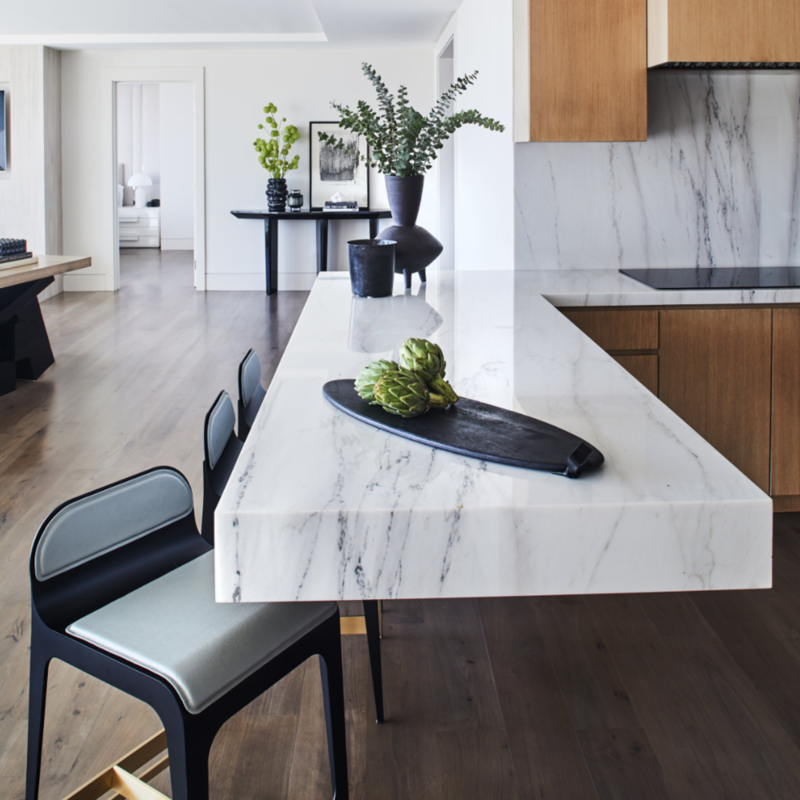 Inspired by the client’s love of photography, the light-filled apartment creates an experience that resembles a stunning modern art gallery that is perfect for entertaining. This apartment was designed to complement its stunning backdrop. The palette was kept largely to grays, charcoals and creams, and utilized sculptural elements and layered textures to keep the home from feeling flat. The goal of this project was to incorporate the wellness experience of Delos Living with chic, industrial inspired interiors juxtaposed against natural and holistic elements. This 28-bedroom, 40,000 square foot modern estate was designed with architect Richard Landry and was Robb Report’s 2011 Ultimate Home. The design for this Montecito estate fuses valley richness with contemporary refinement. SFA Design worked with the client to create a clean, modern space infusing earth-inspired, organic elements. With updated architecture to a true European villa style, SFA Design gave the interiors French flair with a touch of glam. Furnished with an eclectic mix of romantic pieces, 19th Century French Empire chandeliers, contemporary abstract art and quirky wall coverings. This private sanctuary was inspired by the beach to create a warm, sophisticated home. Natural finishes and furnishings create a serene and modern environment. 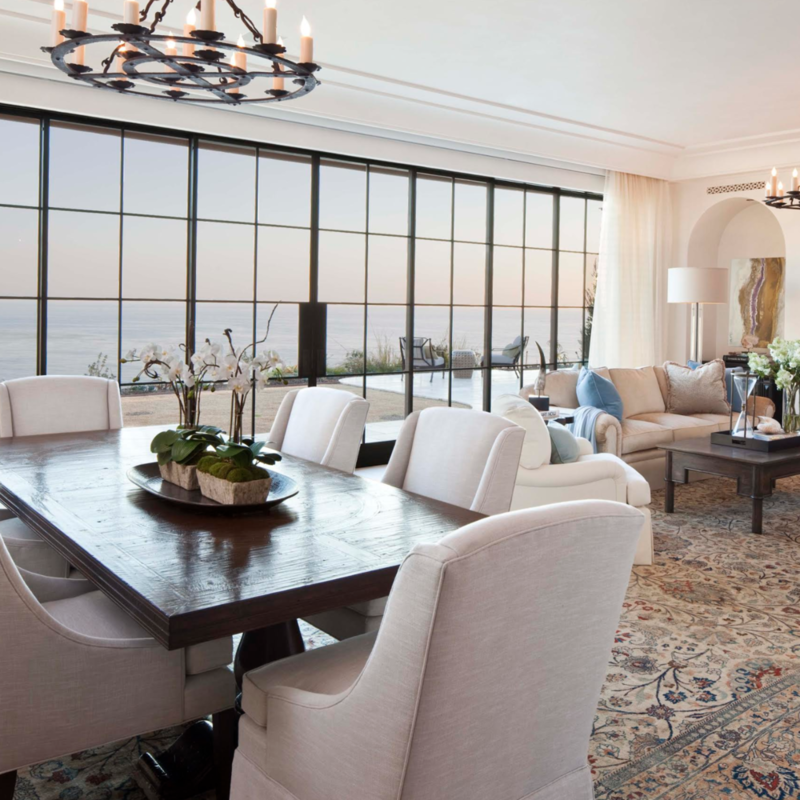 Ocean views, sand swept surroundings and Mediterranean architecture inspired the design for this ocean front property. A color palette of blues, creams and browns offers a seamless transition between exterior and interior. Suffused by natural light, this penthouse has a unique, upscale industrial style with rough-hewn wood finishes, polished marble and fixtures reflecting a hand-made European craftsmanship. In addition to its spacious living quarters, The Griffith is home to Hollywood’s sexiest shower, which took more than 400 hours to complete. The client was a couple who was looking to create a modern coastal retreat vacation home for their family. This was achieved by using a neutral color pallet of sands and blues with organic accents juxtaposed with custom furniture’s clean lines and soft textures.